I think Dallas is trying to introduce some new names for Mr. Fipke to consider, lol. This played out on Twitter yesterday and today. I'm posting some of the tweets because David Crisp may not have found a nurse mare in time if it hadn't been for Twitter. 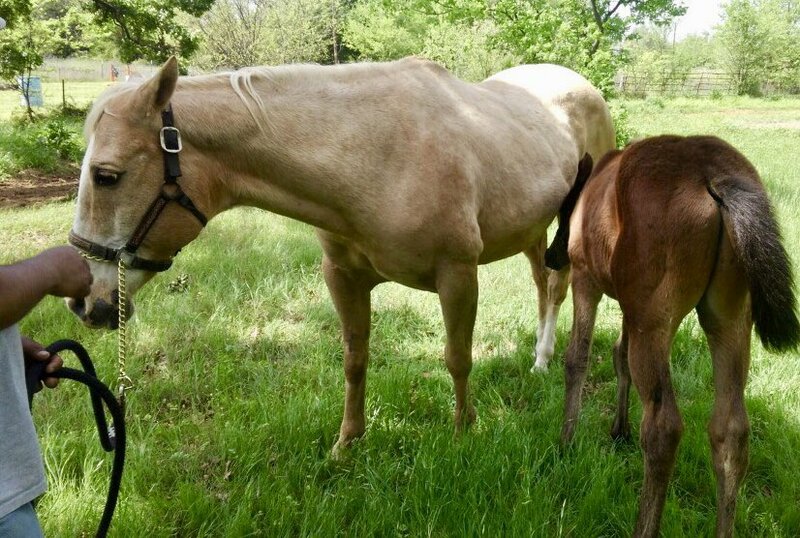 Stories like this happen every foaling season. 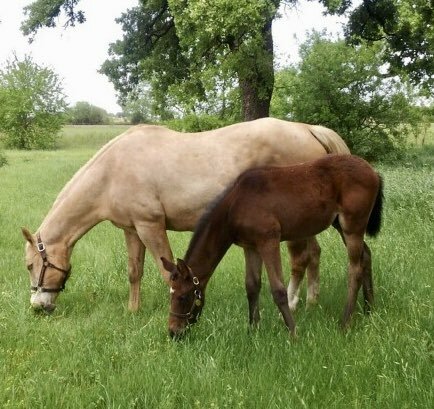 It was a lot harder to find good matches for orphan foals before Twitter. Rest In Peace beautiful mama, Wave The Colors. We will never, ever forget you. You brought so much joy into our lives and I promise to do everything possible to save your Goldencents baby. 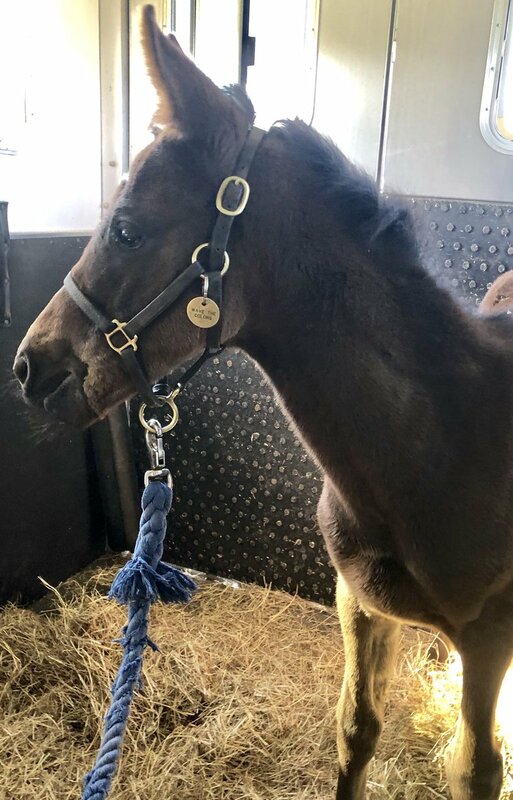 We are on the way to meet his nurse mare, but he will never, ever forget you either. We don’t know if Hope will go on to adopt Baby Goldie and raise him as her own. We do know it gives Goldie his best chance. Gratitude to Misty and Jackie, @SarahHorsegirl, @bergenstables @Kerrycouch4 @Leahbrandon and so many others. What you did was important for our little foal. Still cautious for the next week. Mare is still being “cranky” at times, but she lost a small foal and 48 hours later found an 8 week old foal with a ravenous appetite that never seems to get full and has real teeth! New mom is tender-imagine that! Progressing. Not entirely sure but the orphan foal specialist seems entirely on top of the issue. 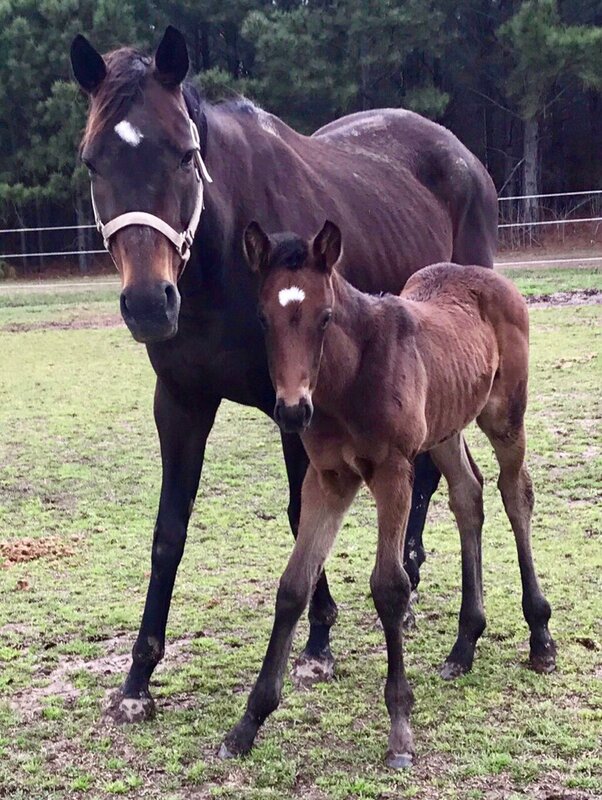 I am an optimist by nature so very hopeful this issue will be properly resolved by a lady who has already completed 17 or 18 nurse mare adoptions this season. She is very special. It's finally starting to feel like spring in Kentucky (after a few false starts!) 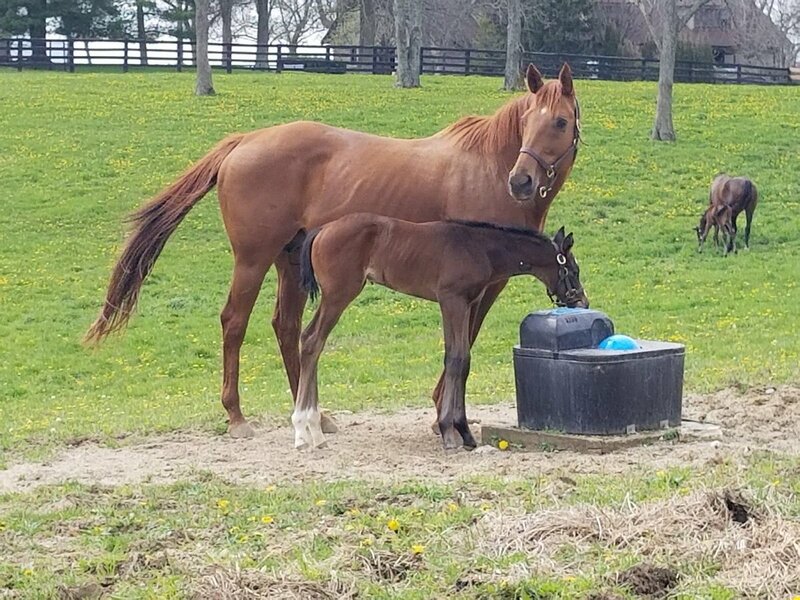 and one of our favorite mommas, Alternate (dam of multiple graded stakes-winning millionaire Alternation and the multiple stakes winner/graded stakes-placed Interrupted) is keeping close tabs on her Curlin colt. Thanks! That didn't look like fun--but everyone looks good and the baby has LOTS of chrome! Woohoo!!! Such a pretty baby too. Such a contrast between how the TM people handled this birth vs. the way the people with La Verdad handled that birth. At TM they seemed much more relaxed and calm about it all. Didn't even clean up the stall before the birth. 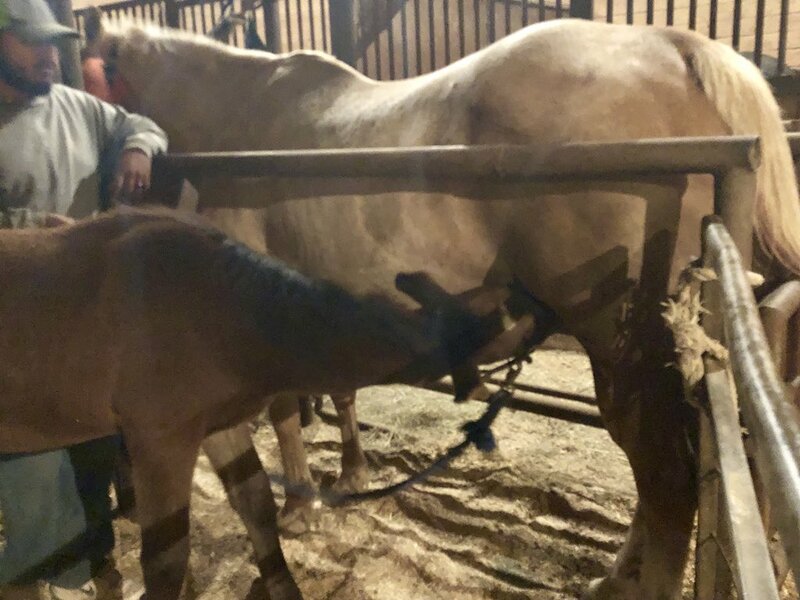 Right now, 9:50pm eastern, the mare seems very tender and doesn't seem to want the foal to nurse. Scares me a bit. 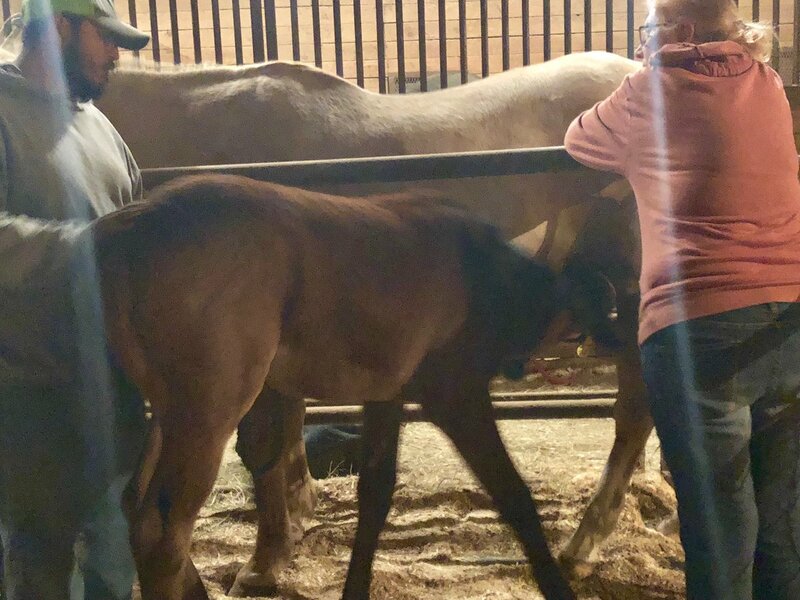 The people are helping her now, and 9:53pm baby is nursing. Whew! Last edited by Ridan_Remembered on Wed Apr 18, 2018 11:04 pm, edited 1 time in total. 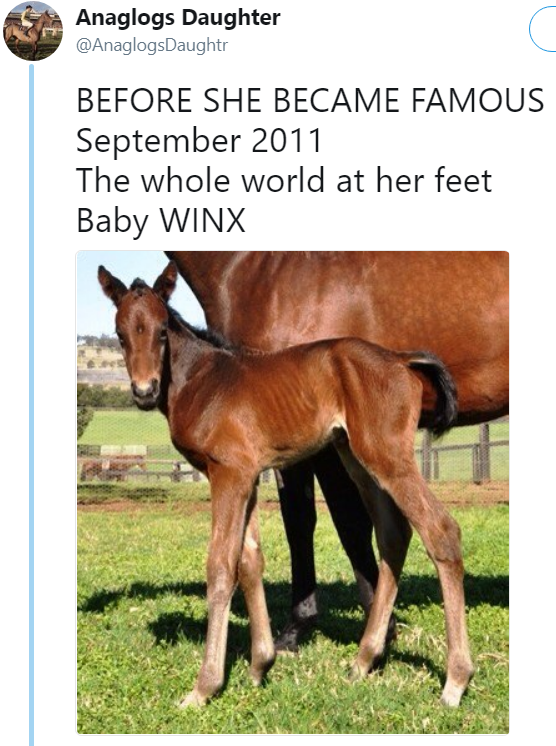 The way she was acting I thought it was her first foal but she had one last year. I imagine they will closely watch her for awhile. I saw her kick out a couple times, not really at the foal but just to let it know to back off.